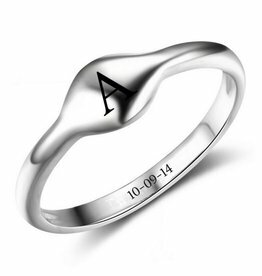 Sterling silver ring, provided with letter of your choice. 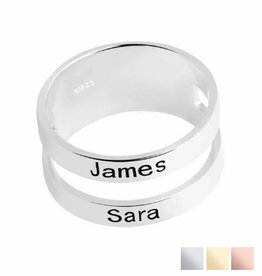 Extra nice; Choose multiple rings and form a word or name. Perfect is its simplicity, but even more fun in combination! 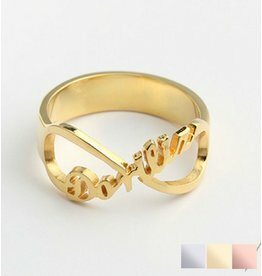 Beautiful symbolic gift for the mommy dearest. 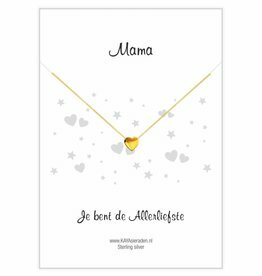 Give these ladies necklace on a luxury greeting card with a beautiful gold plated heart out (silver with a gold layer). Including Necklace of 40 cm (+ 5cm extension chain). What will she rays. Dazzling bracelets for the whole family, as a sign that you are connected. For the ladies, sweet and romantic, very tough for the boys! what will you shine together. These bracelets are designed for tough kids and their mom. Made of black onyx beads with silver stars. What will you shine together! Glittering bracelets for dad and his princesses, as a sign that you are connected. Sweet and romantic for the ladies, tough for the men! What will you shine together. After many requests KAYA designed a set for mother with a daughter and a son. Shimmering ivory white shell beads for mother-daughter, tough black onyx beads for your son. what will you shine together! After many requests KAYA designed a set for grandma, mommy, grandson (or granddaughter natural cool). Shimmering ivory white shell beads for grandma and mom, tough black onyx beads for their son. what you will shine together!